In this post i'm going to tell you about my experience with Gaviscon. 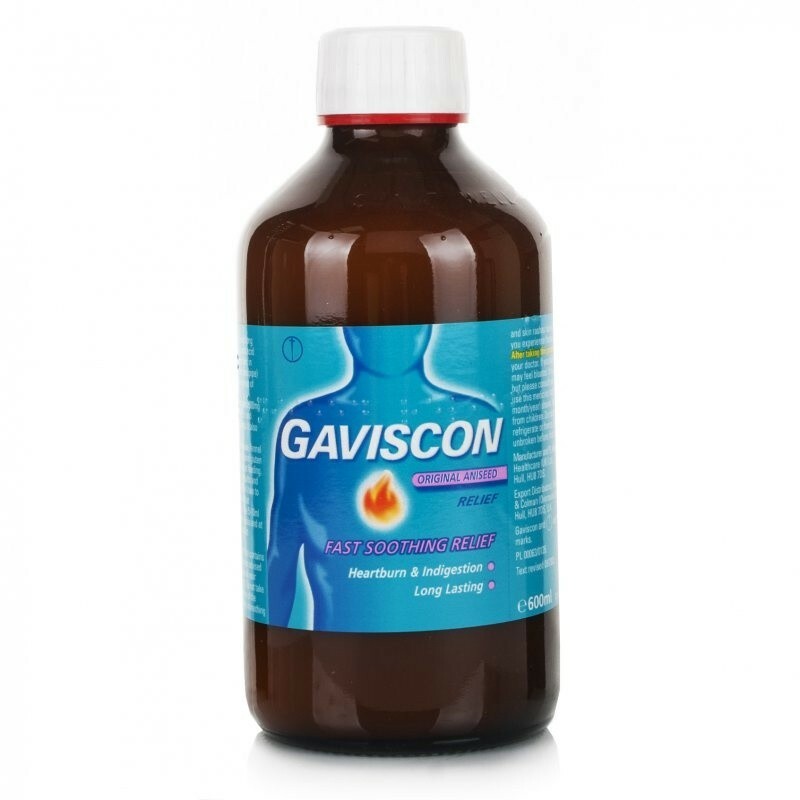 I've used Gaviscon in the past because i suffer from heartburn, which is also known as acid reflux. When my eating disorder was at it's worst and i kept being taken to A&E, something they would always give me, is a shot of this. As you can see on the front of the bottle it says 'original aniseed'. I absolutely despise the flavour of aniseed, which is more or less the taste of liquorice/sambuca. As much as i would not want to take this due to the flavour, i knew i had to as it actually really does work. Once i've taken it, i definitely feel a sort of soothing, and after about half an hour, i think it really makes a difference. Obviously everyone is different, so some it may work a lot quicker for and some it may not work at all. For me though, despite the taste, i feel that it works and lasts for a good few hours. Once i've taken it in the past, i actually won't need it again until i have another flare up. This medicine can be bought over the counter in pharmacies and is best used after meal and at bedtime. Make sure you speak to your doctor or pharmacist about your current medication before using this product. If you have been taking this medicine longer than 1-2 weeks daily, you may need to consult your doctor as you may have a serious medical problem. Remember that i am not a doctor, this is just generalised advice that will come with the leaflet when buying this product. Ah I use Gaviscon for my indigestion woes too and I don't feel like it does that much for me. Sometimes I think it helps. But urgh hahahah the flavour doesn't half remind me of sambuca / aftershock too haha; nostalgia in a bottle!